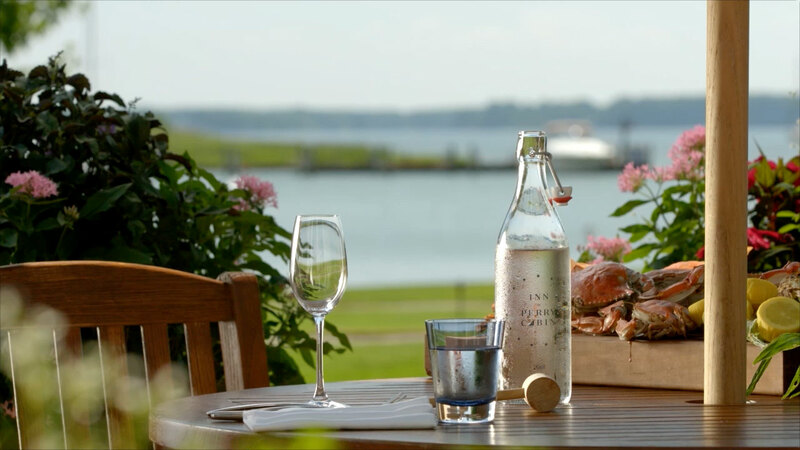 Enjoy the freshest seafood and produce from local fisheries and farms at a table overlooking the Miles River. Savor small plates with big flavors while you explore our collection of rare spirits, craft cocktails and local beers. Join us poolside for a delicious, nutritious smoothie or lunch fresh from the bay. Our restaurants source fresh, seasonal ingredients from the farmers and fisherman of the Eastern Shore, including our own gardens and orchards. Rolling lawns and gardens, historic rooms with endless views of the water and quiet spaces just off the beaten track — we can help you create the perfect retreat for a private gathering. This beautiful lawn next to the gardens is a sun-dappled oasis by day and an intimate spot for warm summer nights under the stars. Floor-to-ceiling windows frame the waterfront from this elegant room at the heart of the original Inn. There isn't a better place to host a truly Eastern Shore gathering. Just steps from the Purser’s Pub, the Courtyard is a quiet, tree-covered escape hiding in plain sight in the middle of the Inn.